Wessels flash tanks are manufactured to ASME Section VIII, Div. 1 standards. Designed to 125 PSI. 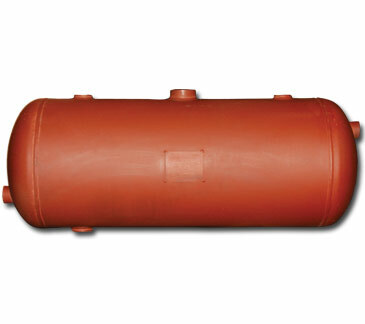 The function of a flash tank is to allow high-pressure condensate to flash and a reduced pressure steam. This reduced pressure steam is then used to supply heat to a “low” pressure supply main. It can also be used to reduce and cool to low-pressure steam before re-introducing it to the boiler or condensate receiver, or discharge directly from the system. The vessels are available in standard volumes from 13 to 180 gallons. Sparge and drop-leg designs are also available to meet any design condition. The FTA Series flash tanks are designed for systems that require flashing of high pressure condensate into steam for low pressure heating supply mains, and to reduce the cool low pressure steam before it is returned to the boiler, condensate receiver, or discharged into sewer.